Dancing is a wonderful activity for children of all ages. Along with developing technique, artistry, and a love for self-expression, dance encourages children to work towards goals, overcome obstacles, and gain self-confidence. Not only will the love of the art form be nurtured in your children, but skills will be grown in them that will last a lifetime. When choosing the best class for your children, there’s no wrong answer! Read below for some tips that will assist you in the process of class selection. It is never too late to start dancing, though the earlier, the better. 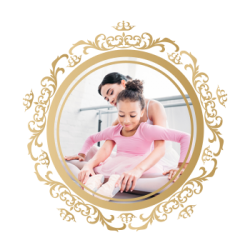 Royal Grace offers classes for children beginning at age 3. The classes are geared toward ages 3-5 years old will not have a strong technical focus. In the event that your child is age 6-8 years old and has never taken a dance class, Level I classes are a great start! For older children, aged 10-18 years old, for example, it is recommended that they start off in a lower level class to gain a foundation before jumping into more advanced classes. This will mean taking class with children several years younger than them, but it will be worth it in the long run! New students are always welcome to take a trial class, free of charge, so they can decide if dancing is something they want to commit to. Royal Grace offers a variety of styles of dance. Whether it’s for the grace and poise of ballet, or the freedom and energy of hip hop, there is value in studying any style! For students with a strong interest in contemporary and/or jazz, it is strongly recommended that they take ballet. Ballet is the foundation of all styles of dance, and students’ progress in contemporary/jazz will be hindered without the technical refinement that studying ballet brings. Tap and hip hop can be taken independently of other dance styles. As your young dancer grows in ability and training, the time commitment potentially grows as well. In order to determine how much time your child can commit to dance, it is important to evaluate their goals, schedule, and other activities. There are no requirements for the amount of classes taken. The more styles of dance selected, the more hours per week. 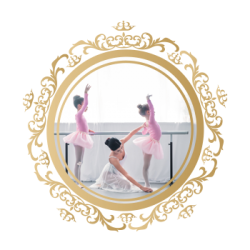 Members of Royal Grace Elite will participate in the most hours of dance per week, including weekends. Along with fees and tuition (see the pricing section of our website), the appropriate attire for each class will be required. This includes any variety of the following: leotards, tights, ballet/pointe/jazz/tap shoes, “footundeez” style shoes for contemporary, t-shirts, tanks, leggings, and capris. Investing in the proper attire is important for dancers, as it allows the dancers to get the most out of their training, and guards against avoidable accidents and injury. Royal Grace has some attire available for order. We can also direct you to other avenues for specific needs such as pointe shoes. 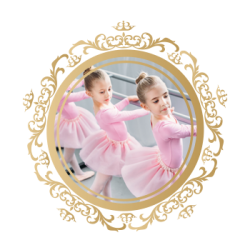 If you are unsure of how to proceed in registering your child, please contact the studio and we will do our best to assist you in making your selections!